I hope you all had a great winter break and are revved up for the new year. Next week, join Harvardwood + the Harvard Alumni Association around the world for Global Networking Night. We'll be repped in Los Angeles, Boston, and Savannah. We need volunteers to help with event registration at the LA Global Networking Night, so get in touch if you can assist! I also hope to see many of you at this month's LA events, our Jan. 11th Salon with author and activist Winnie M. Li AB '00 (Dark Chapter) and then our Jan. 18th Masterclass on Acquiring Story Rights with Jack Monderer AB '82. As we launch into 2018, our industry is in the midst of major change—the removal of net neutrality, the recent acquisition of Fox by Disney, the sexual harassment revelations across many of our workplaces, and more. It’s clear that this is going to be a year with a lot of fallout and change, making it a time when being a part of the Harvardwood community feels even more important. Together we can help each other navigate our changing landscape and stay true to our ideals about the power and the purpose of the arts. Here’s to a happy and productive 2018 and I look forward to seeing you at an event soon! Provide administrative support to two VP’s in talent & development, including phone coverage, organizing meetings, maintaining schedules and records, making travel arrangements, and calendar management. The Harvardwood Board of Directors is coming up on elections for its next term, and we are looking for some energetic individuals to fill a few great positions! The Harvardwood BOD is the managing body that oversees the volunteer efforts of Harvardwood members worldwide and has worked to create an impressive array of events, programs, and online resources over the past fifteen years. As a member of this dynamic team, you will play a large role in determining the priorities and setting the course for the entire organization. Below is a list of Board positions we are looking to fill. Each Harvardwood Board member holds office for a period of two years, until his or her successor is elected and qualifies. Board members should have a strong interest in fostering career education and networking among Harvard University alumni and students, and candidates have either completed a degree program at Harvard University or have a strong enough affiliation to Harvard as determined by a majority of the existing directors. Board members must be of the age of majority in CA and should be able to attend quarterly board meetings in the Los Angeles area (Board members in other locations can participate via conference call, but please note that for some positions, a presence in LA is preferred). To be considered, please email your resume and a brief statement of qualification and interest (1-2 paragraphs) to Harvardwood's Executive Director, Dona Le, by January 22, 2018. Please be sure to write your statement in the body of your email, not as a separate attachment. Thank you! The Director of Membership Experience will help the Board in determining why people become Full Members and implement strategies for keeping members engaged in the organization. This person will serve as one of the points of contact for current members on how to best utilize Harvardwood. He/she will relay information to the Board about what is important to members and how to improve the overall Harvardwood membership experience. The ideal candidate for this position is personable, approachable, and enthusiastic about Harvardwood’s potential for service. Harvardwood Publishing is expanding in exciting new ways, and the Director seeks an Associate Director to help develop a range of projects. In 2016, we published our first-ever anthology and aim to pursue future projects in support of the work of Harvard-affiliated writers. A knowledge of and passion for electronic publishing would be welcome, as well as ease in the world of sponsorship and marketing. If your arts, media, or entertainment company offers summer internships and would like to recruit applications from current Harvard College students, we invite you to participate in the 2018 Harvardwood Summer Internship Program (HSIP)! Companies can recruit current Harvard students directly by posting their internship opportunities to Harvardwood FOR FREE. TV Writers, mark your calendars! We'll begin accepting applications to the Spring 2018 HWP-TV Modules in Los Angeles on January 22nd. Applications will be accepted through February 5th, and the application will be slightly different this year. So get those new writing samples into shape over the next few weeks. Make sure you're subscribed to receive Harvardwood emails about important program deadlines and other reminders. Happy Writing! Calling all Harvard-affiliated films and filmmakers traveling to Sundance or Slamdance this month! Producer Mynette Louie AB '97, President of Gamechanger Films, has three Gamechanger films at the festival this year: The Tale, Nancy, and The Long Dumb Road. A Futile & Stupid Gesture from writing duo John Aboud AB '95 and Michael Colton AB '97 will premiere Jan. 24th at Sundance. Are you heading to Park City and will one of your films be presented? Share the good news with us so that the Harvardwood community can support you and your work. Just email Harvardwood with information about your film, screening times, etc. Michael Colton AB '97 is a humorist and screenwriter, most recently of A Futile and Stupid Gesture, which tells the story of National Lampoon’s founding. The film will be released on Netflix on January 26 following a premiere at the Sundance Film Festival. With writing partner John Aboud AB ’95, Colton also scripted Penguins of Madagascar and The Comebacks, as well as episodes of Childrens Hospital and Newsreaders. He has appeared as a commentator on several VH1 shows, including Best Week Ever and I Love the ‘90s. Rebecca Maddalo AB '13 is now studying for her MFA in Directing at the American Film Institute. She is currently working on a short film called WATERMARK that explores the long-lasting repercussions of sexual assault on a person’s life. She is committed to bringing attention and awareness to survivors stories, and hopes that her film will help others see just how prevalent #MeToo is and how desperately change is needed. To learn more about the film or to make a donation, please visit www.WatermarkThesisFilm.com. Congrats to all the Harvard alumni TV writers nominated for WGA Awards, including Sam Baum (Wizard of Lies), Monica Beletsky (Fargo), Alec Berg (Silicon Valley), Colin Jost (SNL), Dave Mandel (Veep), Lew Morton (Veep), Conan O'Brien (Conan), Dan O'Keefe (Silicon Valley), Simon Rich (“A Father’s Watch” - The Simpsons), Jeff Schaffer (Curb Your Enthusiasm), Mike Schur (Master of None), Andrew Sodroski (Unabomber), Clay Tarver (Silicon Valley), Alexis Wilkinson (Veep), Alan Yang (Master of None), and Aaron Zelman (Silicon Valley)! Roshan Sethi MD '13 and his writer partner Hayley Schore made the 2017 Black List TWICE with scripts Call Jane and Little Boy. Their upcoming show The Resident premieres this month on Fox! Composer Justin Hurwitz AB '07-'08 has been nominated for FOUR Grammy Awards in the following categories: Best Compilation Soundtrack for Visual Media (La La Land); Best Score Soundtrack for Visual Media (La La Land), Best Song Written for Visual Media ("City of Stars"); and Best Arrangement, Instruments and Vocals ("Another Day of Sun"). Watch the 60th Annual Grammy Awards Ceremony on Jan. 28th. To hear him tell it, Jonathan Aibel AB '91 always had a creative bent, though it took him nearly a quarter century to learn what a spec script was. Growing up in Demarest, New Jersey, right outside Manhattan, Aibel participated in theatre in high school, then continued indulging his creative side while at Harvard. The psychology major unofficially minored in music theory and a cappella (he was a four year member of the Din & Tonics), before penning the Hasting Pudding Theatricals show with a friend in his senior year. Aibel found more and more of his attention drawn to the page, but still wasn’t ready to jump to writing full-time. “We didn’t even know how you would make a living writing anything,” he recalls. Luckily, the Harvard network offered answers in the name of Susanne Daniels AB '87, a former roommate of one of Aibel’s coworkers and the future head of the WB, MTV, and of Youtube’s Original Programming. Daniels connected Aibel and Berger with her husband, Greg Daniels AB '85, who would go on to create The Office and Aibel’s “big break,” King of the Hill. Aibel laughs when he remembers the cluelessness of these early conversations about jumping ship to Hollywood. The nascent writing duo asked Greg Daniels “the total newbie questions of ‘what do you do all day?’ And ‘where do you live to be a screenwriter?’ And ‘can two people be screenwriters together on a TV show?’” But the two were hooked. Armed with some in-the-know encouragement and “a notebook that says things like ‘move to Los Angeles,' and the most awful basic things because we just had no idea,” the two handed in their notices to the consulting firm, loaded up a U-Haul, and drove, together, to LA. Always up for a challenge, Aibel and Berger began dabbling in live action features by rewriting scripts while on hiatuses from King of Hill. Aibel relished the chance to dig deeper into characters and expand storylines beyond the parameters of sitcoms. Eventually, Aibel says, “We realized that our training [at King of the Hill] better prepared us to write features than to keep writing sitcoms or to go back to multi-camera sitcoms. It felt like the kinds of stories we were telling or wanted to tell and the characters we wanted to create weren’t what we were finding in the shows being picked up by the networks.” The interest in characters won out, and upon leaving the show, Aibel and Bergen jumped head first into writing movies. It was not all smooth sailing. The writing partners encountered the usual feature-making walls—slow timelines, fickle studios, things not getting made. But the consistent work eventually led to a phone call with the creators of Kung Fu Panda, who were looking for writers to turn their idea into a family-friendly hit. Aibel was, again, initially skeptical of the pitch and the prospect of staying in animation, but was persuaded by the movie’s passionate team. “We realized that it was, in a way, the challenge we were looking for,” he says, describing the Kung Fu Panda team and the work of animated movies as “incredibly collaborative.” Diving into an animated feature also brought all the lessons from those early sitcom gigs full circle. “All this stuff we had learned in TV—about how to produce a TV show but also how to read storyboards, how to work with editing and editors, how to direct actors in a recording booth—it all applied to what they were doing in animated movies,” Aibel says. “I think the challenge of Panda,” he continues, “was that we took a pretty standard story but we found ways to make it unusual and different.” Unusual, unexpected, or perhaps just plain charming—whatever the reason, Kung Fu Panda won over audiences to the tune of a cool $631 million worldwide, making it a bona fide hit that launched Aibel into the upper echelons of family-friendly screenwriters. He and Berger have gone on to write several more films, including both Kung Fu sequels, Monsters vs. Aliens, The Spongebob Movie: Sponge out of Water, and 2016’s hit Trolls. Along the same lines, his advice for aspiring writers is quite simple: just keep writing. Fans of Aibel’s writing will have to wait a bit for the next feature film, though. The partners have written Trolls 2, and are awaiting its release in 2020. Meanwhile, they’ve been working on the debut feature for Skydance’s animation division, under the working title of “Luck.” And ever on the lookout for a genre challenge, Aibel and Berger have also been expanding horizons by collaborating on a Kung Fu Panda-inspired live show, involving music, dancing, and the duo’s signature heart. Stay tuned, as details are yet to be announced. The Harvard Alumni Association invites you to join fellow local alumni for Global Networking Night on Tuesday, January 9, 2018 at the Harvard Club of Boston. Global Networking Night is a great opportunity to explore and expand your Harvard Network; the last event drew more than 8,000 alumni in over 100 cities! The title really says it all—a conversation between two of the most interesting people in the American theater. John Doyle is perhaps most widely known for his series of innovative revivals of Sondheim musicals, notably Sweeney Todd (Tony, Drama Desk, and Outer Critics Circle Awards, Best Director of a Musical), Company (Tony, Drama Desk, and Outer Critics Awards, Best Revival of a Musical), Passion, and, most recently, Pacific Overtures. Other acclaimed productions have included The Color Purple (Tony Award, Best Revival of a Musical; Drama Desk Award, Best Director of a Musical), The Visit, and Rodgers and Hammerstein's Allegro. He has directed as well at the Metropolitan Opera and has been the Artistic Director of four theater companies in the U.K., where his credits ranged from Shakespeare to Brecht to Fiddler on the Roof. Since 2016 he has been the Artistic Director of the Classic Stage Company in New York, where most recently he directed As You Like It. So you’ve read an article, graphic novel, book or screenplay, or found someone with a life story to tell? Acquiring story rights or understanding keys issues involved in tying them up is an essential skill for producers and writers - and existing stories are often more attractive to studios or financiers, as well as to an agent. With 25 years of film studio experience at Columbia and Fox, Jack Monderer AB '82 managed hundreds of rights situations of every conceivable type. As a producer or writer, when and how do you initiate a rights agreement? How much of an agreement do you need? Is there any way to price a particular type of material? Come join us as Jack shares his experience and gives guidance on these and other story rights issues. Jack Monderer has several decades of experience as the key manager and analyst in Business and Legal affairs for film development projects at Fox and Columbia. He recently completed 20 years at the Fox film group, administering all talent deals and property rights for the film projects at Fox, Fox 2000, Fox Searchlight, Fox Animation and Fox International Productions. Projects he has managed from development through production include everything from franchises like Ghostbusters, X-Men, Avatar and Ice Age, to specialty films like Slumdog Millionaire and Grand Budapest Hotel. The Ivy Plus Society is kicking off 2018 at the exclusive Asian inspired lounge, The Blind Dragon. A hidden gem located on the famous Sunset Strip in West Hollywood, The Blind Dragon has 4 luxury sing or die karaoke suites with over 25,000 licensed songs. Start The Year of the Dog off right by mixing and mingling with LA’s finest and brightest. Attend the launch party of HELLBENT, available Jan. 30th, from best-selling author Gregg Hurwitz AB '95. 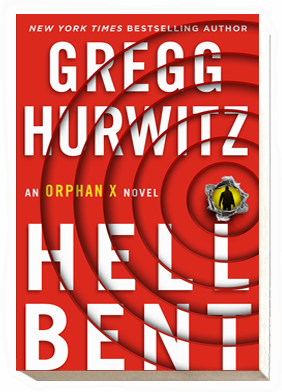 Gregg Hurwitz is the New York Times bestselling author of 19 novels, including HELLBENT (2018). His novels have been shortlisted for numerous literary awards, graced top ten lists, and have been published in 30 languages. He is also a New York Times Bestselling comic book writer, having penned stories for Marvel (Wolverine, Punisher) and DC (Batman, Penguin). Additionally, he’s written screenplays for or sold spec scripts to many of the major studios (including THE BOOK OF HENRY), and written, developed, and produced television for various networks. Gregg resides in Los Angeles. Launch the new year​ with friendly Harvardwood ​writers​! Join us​ on January 31st at the Deca Lounge & Rooftop Bar of the Ritz Carlton at Water Tower Place. ​All writers, genres and specialties are welcome! Free to attend. Cash bar, optional menu, sparkling conversation. ​Bring your friends—forward this event link! Booksmith is excited to host Winnie M. Li for her debut novel Dark Chapter, and her first San Francisco reading—please join us! Winner of The Guardian's Not The Booker Prize in the UK, this UK bestseller, inspired by true events, is a unique crime novel for the #MeToo era. New year, old resolutions... we know how it goes. But one really easy resolution to keep is making sure your Harvardwood membership is active! If you subscribe to receive Harvardwood emails but don't have an active membership, you can officially join here. Membership benefits include access to all of our online resources, including the job listings, eligibility for all Harvardwood programs, and discounted event tickets. Harvardwood is a 501(c)3 nonprofit, and your membership dues are vital to keeping us running.